Ever wonder where judges come from? How long the process takes? What motivates judges? A quick google search makes the process look long and complicated! 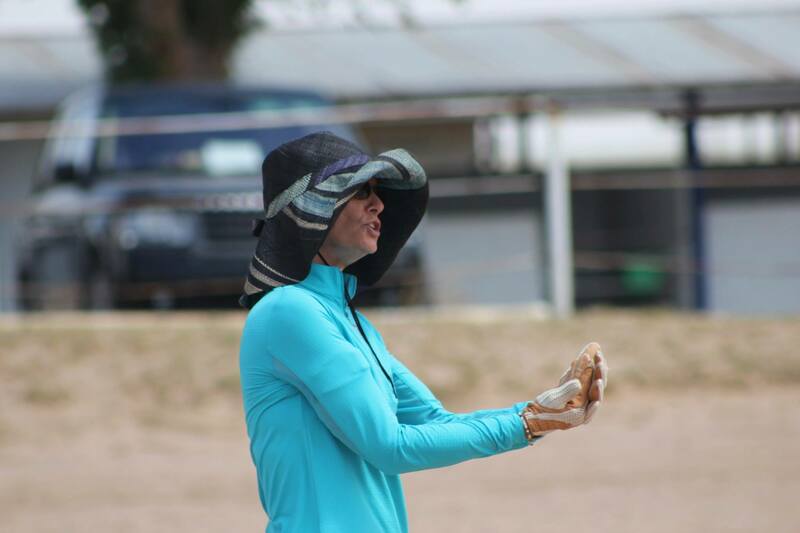 HunkyHanoverian is excited to share an interview with Kathy Davidson, who is currently on a journey to becoming a licensed judge with USEF/USHJA. Kathy is down to earth, honest, and candid as shares with us her insights into the process, and what lead her to judging. Kelly: Before we discuss your journey with becoming a licensed judge, let’s start with an introduction. Can you give us a short bio on yourself and your involvement with horses? KD: I’ve been riding since age 10. I rode school horses at a barn that was within walking distance of my house in Austin, TX, and as I gained more experience, I competed in two or three horse shows a year in and around the Austin area. I rode all through high school, and then went on to ride in college at two schools with Equine Science programs. I competed on the IHSA teams at both Cazenovia College, (NY) (A.A.S. in Equine Science), and Virginia Intermont College (B.A. Horsemanship), and also learned a lot about equine anatomy and physiology, nutrition, farrier science, breaking and training, course design, and teaching methods and techniques. Immediately after graduating from VIC, I started in as full time Trainer/Coach/Barn Manager at a barn in Austin, TX. I was finally able to buy my OWN horse, too! Two years later I was asked to return to VIC as a member of the staff, where I taught all the same subjects I had learned while in college! This was also when I started to be really involved in riding jumpers. I eventually moved to St Louis, MO and worked as the assistant trainer for two different “Big A” show professionals. I rode A LOT of training/show horses, taught a LOT of lessons, and traveled the country as manager/ caretaker/ groom/ trainer. 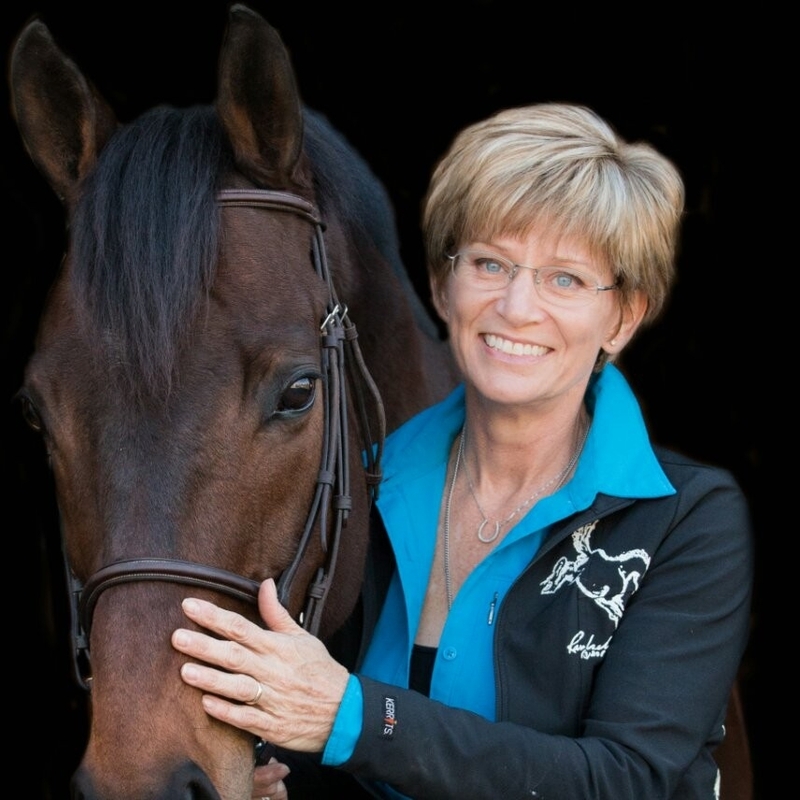 I moved back to Austin in 1994 where I finally started my very own business, Starpoint Equestrian Enterprises. While there I was on the board of the Central Texas H/J Association, even acting as president for 2 yrs. I got married to my hubby Kevin, and once pregnant with my first son moved to Plano, TX in 2000. Since living here, I have taught part time at a number of barns in the Dallas area, expanding my business to include clinics, guest speaking engagements, and judging. I have been the arena assistant for George Morris for the past 10 years, whenever he does a clinic in the Dallas area, and my friend Lindsey Lamb Banks has me come to Tulsa to be her jump crew queen. I was the Show Jumping Coordinator for the 2016 American Eventing Championships held in Tyler. Over the past several years I have ridden in clinics with Bernie Traurig, Ann Kursinski, Jane Savoie, and many others. I LOVE CLINICS! I call it “brain food” and find that it has improved and deepened my teaching and training abilities. Kelly: What initially sparked your interested in judging? KD: I think I was initially drawn to the money-making opportunities of judging, and maybe a little bit the prestige of the title, but I have really found it to be an immediate extension of my love for teaching and training. It’s good to see the “other side” of the relationship between horse show competitors and the judge! It has made me more aware of what is expected of the horses and riders in my own training program when I send them in the show ring. Kathy in her native habitat! Teaching a clinic in Midland, TX. Kelly: How long have you been working to get licensed, and where are you at in the program? KD: I’ve been judging “local” shows for just over 18 years. I know this because the very first show I can recall judging was when I was newly pregnant with my first son who just turned 18! I’ve judged for the Central Texas H/J Association, North Texas H/J Club, Dallas H/J Scholarship Circuit, and Oklahoma H/J Association, as well as numerous schooling shows in the Dallas area. I decided to initiate the process of becoming a licensed judge by getting my USEF/USHJA card just this past January. Phase One of the program is to attend an official Judges’ Clinic, and I did that in early April of this year. Now that I’ve been to the clinic I can apply for my license and officially begin logging my hours of “Learner Judging” at recognized horse shows, under the supervision of “R” judges. Kelly: What level of judge do you aspire to get to, and how long do you estimate it might take to achieve that goal? KD: I’m going for my “r” (Recorded) Judge card first. This will enable me to judge “the big ring” at all the shows I’m already enjoying being involved with, and I will use that as the spring board to my “R” (Recognized) card which will enable me to Judge “Big A”, Intercollegiate, NCAA, and Interscholastic shows. I am hoping to have my “r” by the end of the year. Kelly: What is one of the difficulties you have encountered during the judging program that you didn’t initially anticipate? KD: Becoming a licensed judge is expensive. The clinic was expensive. (I attended both the Jumper Judge clinic, and the Hunter/Equitation clinic, so I paid double.) The hotel was expensive. My application for the card will be expensive. Then each time I send in my paper work for Learner Judging, there will also be a fee. And the travel expenses for those shows will also be expensive since few shows of that caliber, offering the variety of classes I MUST Learner Judge, are really within driving distance of my home. I guess I was expecting it, but it is a serious issue. And then there’s the MATH involved in Judging! (I was and always will be a terrible math student.) Each hunter over fences round is given a numerical score, and in the case of hunter derby rounds, there are often bonus points added, AND the two rounds must be added together for the final score! Also in the jumpers faults are converted to time, and it’s ALL about the numbers when it comes to timing jump off rounds! I struggle with all those numbers. Luckily calculators are allowed in the judge’s booth! Kathy was the oldest rider at this GHM clinic (49), on the youngest horse! Kelly: What aspect of becoming a licensed judge do you most look forward to once you have completed the program? KD: I am really looking forward to being able to judge the team-based associations horse shows. The Interscholastic Equestrian Association, IHSA, and NCAA are all near and dear to my heart having benefited from being a part of that system at both my colleges. You have to have your “R” to judge those shows, so it’s a big goal for me. Additionally, if I’m being candid, you can ask for more money per show once you are a “r” judge! I am also very excited about being able to officiated in the equitation medal classes. I LOVE equitation classes! Kelly: Anything else you want to add about your decision to peruse becoming a licensed judge? KD: I really feel like Judging is a way of “giving back” to an industry that has raised me. Good Judges are VERY important to continuing the standards of good horsemanship in the show ring. Hunter judging is an entirely subjective activity. It’s really all about the kind of horse, kind of ride, kind of rider the JUDGE likes to see. I’ve known some BAD Judges, and met some personally, who are derogatory on their judges’ cards and make unkind comments (out loud) where parents and even the riders themselves can hear them. That’s not the kind of judge I want to be. As I’ve said, I find judging to be a direct extension of my deep love and obsession with teaching and training. Comments on the card (and out loud) should be constructive and beneficial to the continuing education of the rider, trainer, and horse. Half the time I find myself coaching from the judge’s booth! Ethical people who LOVE horses, horse showing, and genuinely want to see the sport thrive and continue are needed. I want to be one of those people. I hope to be included among the other “r” judges in the area who are used frequently for local circuit horse shows. It is my greatest intention that I be viewed as a knowledgeable and accredited judge who can be counted on to assess each individual in the show ring based on the skill and ability displayed during the rounds presented to me at each separate horse show. A huge thank you goes out to Kathy Davidson for taking the time to answer my questions, and sharing her experiences involving becoming a licensed judge! What a great interview! It’s such an interesting process, and one I definitely want to learn more about. Totally going to pick my trainer’s brain about it now- she recently got her R card and I’m dying to know more! Ohh how exciting! You should interview her on what it took to make it to the R level, and now I am also curious how much it actually costs to make it to that level. I had no idea becoming a judge was so expensive! After participating in the breeding championship last year and talking at length with the judges after I got very interested in getting my Judges Card for Hunter Breeding specifically. Hunter Breeding is one of the areas you MUST Learner Judge to get your “r”. In my recent clinic in New Jersey, we were required to judge a conformation class, and I was so grateful to be able to pull from my college experiences and the time I spent working in St Louis. 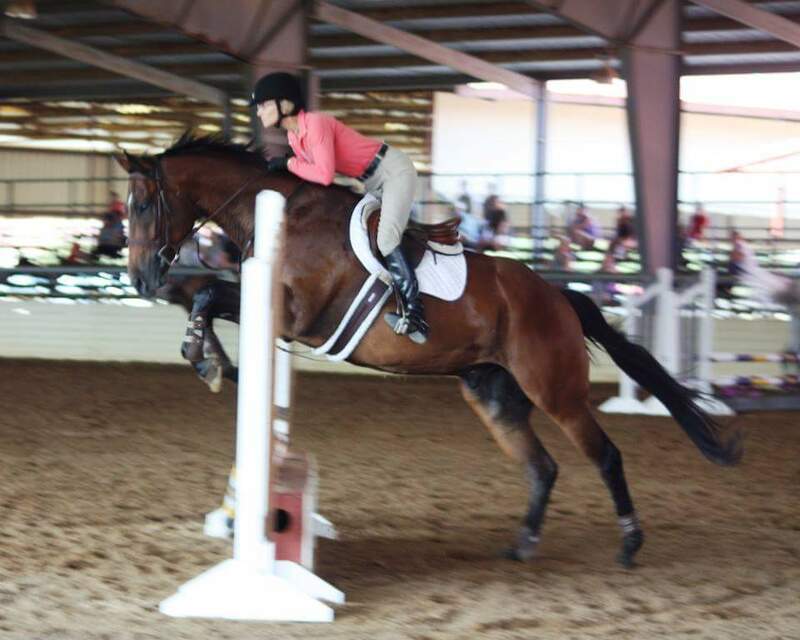 I experienced the process first hand through both the QH shows and Hunter shows. Bravo! Great interview! Been a fan of Kathy’s for a large part of my riding life. Have always looked to her as a resource for doing things the right way. Kathy’s love of this sport is very evident to all from the moment you meet her. 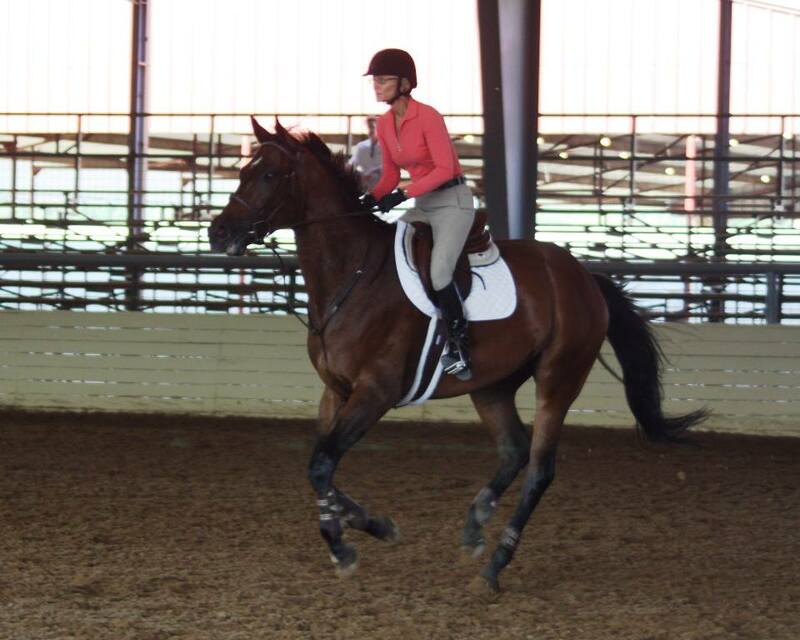 Last year I had the great pleasure to ride alongside her in a Bernie Traurig clinic. THAT was a fun day. I look forward to being on course at an “A” show soon with Kathy at the judge’s table!